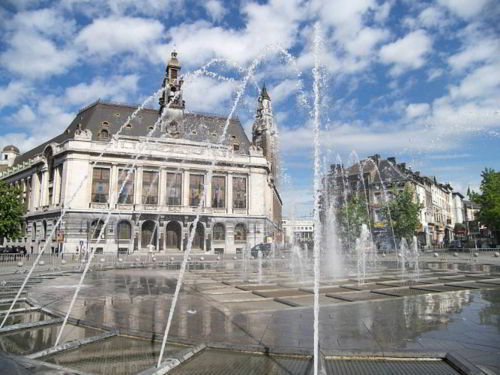 Charleroi is a beautiful city in Belgium which has quite many captivating sights to offer to its foreign visitors. Here you can admire fantastic museums such as Le Bois du Cazier, Musee des Beaux-Arts de Charleroi, Musee de l'Industrie, Musee du Verre -Charleroi, Marcinelle; impressive landmarks including Belfry, Rue Leon Bernus, City Hall, Church of St. Christopher; as well as vibrant modern entertainment facilities. If your guests are young people who want to have some fun after the tour, you can courageously advise them Snookabar, La Cuve A Biere, El Pogona Bar Cocktail (a gay club), Le Rockerill. Charleroi is a city of diverse colors. Explore all of them in a comfortable rented coach from 8Rental! 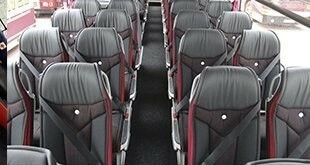 8Rental is a leading provider of buses throughout Europe. If you are searching for a cost-effective travel solution for a large group of foreign guests, we are here to provide you with our bus hire with driver premium services. Being in the sphere of passenger transportation in Europe for many years, 8Rental has succeeded in creating a good reputation and gaining a large "army" of constant clients. By hiring a vehicle from 8Rental, without any doubt you will become one of them! Please note that the fuel, as well as all the fees and taxes, are included in the company's offer. Our pricing system is transparent. Getting a quote and filling it out, you will get the precise price of your order. No additional fees are possible unless you change the route in the process. 8Rental cares for its clients' needs and is ready to provide them with everything necessary for enjoying their transportation in Charleroi. We have bus models to meet your requirements, expert drivers, freebies and 24/7 customer support. Depending on how many travelers you are going to welcome in Charleroi, we can offer you a Mercedes Sprinter and Mercedes Tourismo. The first vehicle can accommodate around twenty-four people. Mercedes Sprinter features air conditioning, tinted windows, comfy seats and armrests, audio system with CD and DVD player, etc. You can also book the VIP model of Mercedes Sprinter. The latter is as ample as the standard model, yet has more impressive specifications. Both vehicles look elegant and are in perfect condition. Mercedes Tourismo is designed for driving up to sixty-five people in comfort and luxury. 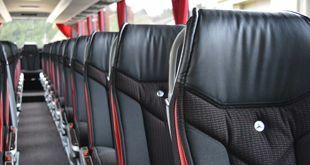 The bus has such amazing amenities as lounging seats in aircraft style with armrests, a toilet, a fridge, a coffee and other hot drinks machine, an audio system, air conditioning, central heating and others. If you would like to equip the coach with a TV, mention it once you rent a bus with a driver in Charleroi. Additionally, 8Rental can provide you with the VIP model of Mercedes Tourismo. Just like the standard model, this bus has everything needed for luxury transportation in Charleroi. What makes it more spectacular is the expensive and lavish interior. By booking this model, your huge group of tourists will experience some of the most wonderful driving hours in their lives! Dependable drivers are our pride. Multiple years of practice in the field of passenger transportation make them truly reliable. Besides having a valid driving license, our chauffeurs are well aware of the city's roads. They can take any direction needed the moment you name the address. Additionally, when hiring a bus, you have the chance to choose the language your driver is supposed to speak. This way you will find communicating with him very productive and pleasant. Our drivers can also tell your guests about the peculiarities of Charleroi. 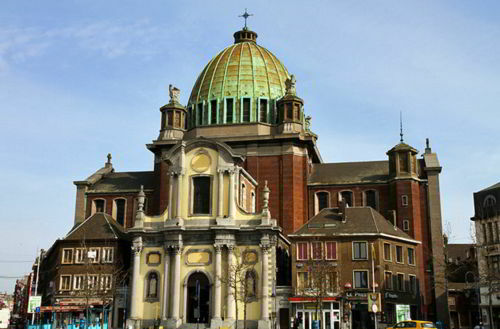 Just hire a chauffeur driven coach in Charleroi to get ensured in it yourself! You see how beneficial it is to deal with a really professional and knowledgeable car supplier!